Much of what we do here at Best Rangefinder Reviews centers around hunting. Still, as passionate marksmen, we can’t help but tip a hat to the awe-inspiring feats performed by snipers. If anything, snipers are under-appreciated by media coverage and film portrayals. The immense skill required to be an effective sniper goes far beyond marksmanship. It demands focus, stamina, determination and resilience. Below, we’ll introduce you to the deadliest snipers of today and from the history books. These men represent the pinnacle of marksmanship, and are all fascinating characters in their own right. Some, such as Chris Kyle have become household names. We encourage you to do your own research after reading our short bios, though, since these snipers are each well worth more of your time to learn about! Corporal Rob Furlong held the record for the longest-distance kill shot from 2002-2009 (2,657 yards). His achievement is particularly remarkable, as the previous record had lasted several decades, since the Vietnam War. Furlong was a self-trained sniper who taught himself to fire ambidextrously. Born in Newfoundland, he enlisted with the Canadian Army and took his first tour of duty in Afghanistan at the beginning of the NATO invasion. His record-breaking shot took place during an operation in which his unit were tasked with stopping several Al Qaeda fighters from taking a strategic mountainside position. Firing with a sniper weapon against an enemy combatant carrying a machine gun, Furlong’s first two shots missed, but he had already fired his third before they hit! So great was the distance that the shots didn’t hit their target until a full 4 seconds after they’d left his gun. According to analysts, he was helped in his feat by the much lower air density of the location. In other environments, he would have been far beyond his weapon’s effective range. This is commonly held to be the reason why several NATO soldiers have set range records for sniping in the Middle East, aside from improved weaponry. Unfortunately, history may not remember Furlong entirely kindly. After returning to Canada, he took a job in the Edmonton Police Department. During a drunken episode, he harassed colleagues and even urinated on one. He was dismissed in disgrace. He currently runs his own marksmanship academy. Zaystev is one of the great snipers of history, especially during the last century. His most notable conflict was the Battle of Stalingrad. That episode of his life is now well-represented by the film Enemy At The Gates, in which Zaystev is played by Jude Law. We highly recommend watching it, if you haven’t already! Zaystev’s story is remarkable in that it almost didn’t happen. He was serving as a clerk in the Red Army at the time of the Battle of Stalingrad, and probably wouldn’t have seen active duty had he not volunteered to join the front lines. 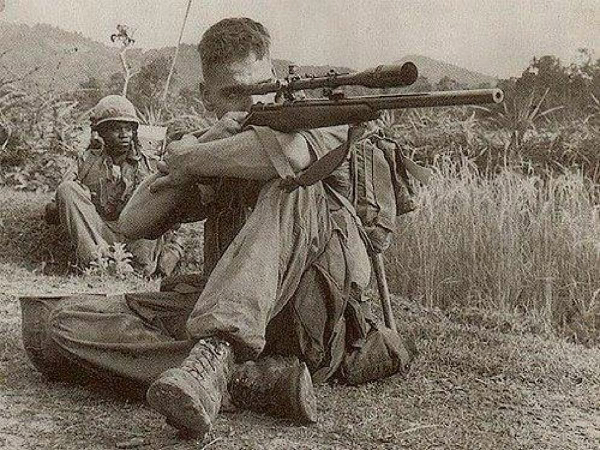 During the battle, he racked up 242 confirmed kills as a military sniper. A majority of his shots are thought to have been well over 1000 meters in the range. Most remarkably, he claims in his memoir to have personally conducted a vendetta against a rival German sniper, who he killed over the course of a 3-day, long-range duel. He kept the German’s scope as a memento. His feats in the service of the USSR earned him the Four Orders of Lenin Award among many other accolades. It’s hard to think of any sniper in history with more name recognition than Chris Kyle, more commonly referred to as The American Sniper. Sgt. Kyle’s military record includes an impressive 160 confirmed kills. According to his autobiography, he believed he had probably killed more like 250 enemy fighters during his tours of duty. By virtue of his prowess in the field, Kyle received five Bronze Star medals, and various Marine Corps Medals and Corps Commendation Medals as well. Most famously, he wrote a bestselling book entitled American Sniper. In it, he reflected on his tours of duty, as well as his struggles to return to civilian life once back in the States. As you’ll no doubt know, a film adaptation of Kyle’s memoir was produced by Clint Eastwood and became one of the most poignant and popular films of the year. Sadly, Sgt. Kyle’s story has a tragic end. Despite being relatively young when he returned from combat, Sgt. Kyle is no longer with us. He had made an effort to reach out to fellow vets during his time back in the States, and a fellow veteran who suffered from PTSD killed Kyle and his friend Chad at a shooting range in 2013. Alongside Chris Kyle, Sergeant Carlos Norman is one of the most exceptional snipers that the USA has ever seen. Although his kill count is not as high as that of Kyle, he earned a place in the history books by inspiring fear and hatred among the North Vietnamese during the 1960’s. Over the course of the Vietnam War, Hathcock became one of the most sought-after targets of the North. In fact, they went so far as to place a $30,000 bounty on his head. That was extraordinarily high at the time for any enemy personnel, let alone a combatant. Despite notching just under 100 kills, far less than Sgt. Kyle, Hathcock remains a hero and inspiration to snipers today. He’s actually mentioned in the American Sniper book. Until 2002, he was the record holder for the longest recorded kill distance: 2,500 yards. Most impressively, he hadn’t even been using a sniper rifle. He’d jimmy-rigged a sniper scope onto a Browning machine gun! His courage extended to far more than taking bold shots, though. He once pulled seven comrades off a burning track by himself, after they had been hit by an anti-tank explosion. Despite suffering serious injuries himself, he saw them all to safety. Simo Hayha is commonly held to be the deadliest sniper in world history. 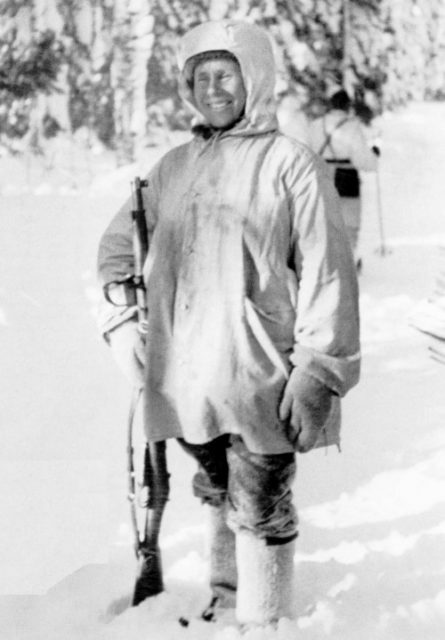 He was a Finnish officer during World War II, and earned the nickname White Death from the Red Army. Hayha was so effective that he singlehandedly notched 542 confirmed kills, and kept his own unofficial tally which reached 705! Assuming that his meticulous notes are correct, that easily makes him the most effective sniper who’s ever taken to the field. His story is a fascinating one: drafted after the Soviet invasion of Finland, the diminutive Hayha quickly earned a reputation as a crack shot. He was so effective against the Soviets that a Red Army sniper was personally dispatched to eliminate him. The sniper never returned to the USSR. 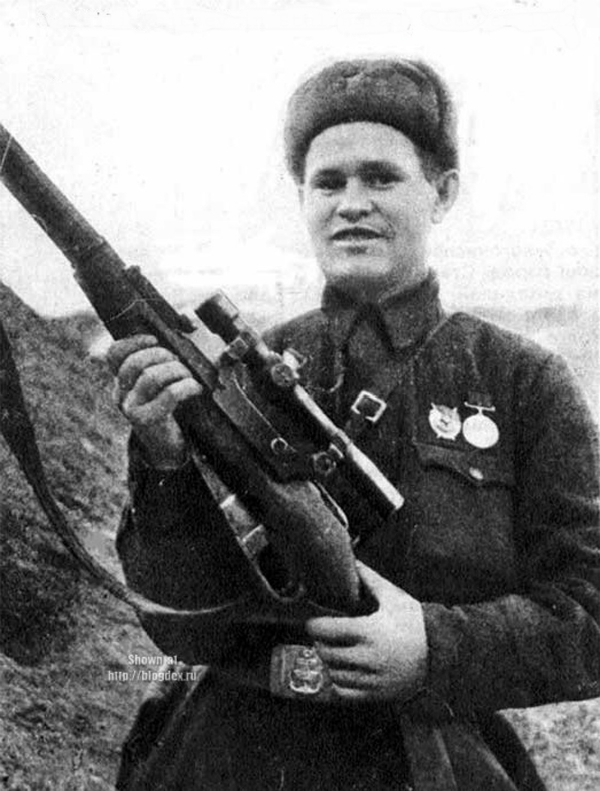 Neither did any of the many other snipers sent to kill Hayha, who had become one of the top targets of the Red Army. Famously, he believed that the fog of his breath would condense and give away his position, so he insisted on keeping a mouthful of snow until he was safely behind friendly lines. Despite being shot in the face toward the end of WWII, he survived after 13 days of unconsciousness and became a figure of both national and international legend. He lived to the ripe old age of 96, finally dying in 2002. The current title for World’s Deadliest Sniper (still living) is thought to be an unnamed Corporal in the British Royal Marines. According to military officials, and reported in The Telegraph, he has notched 173 confirmed kills fighting the Taliban in Afghanistan. That bests the previous record, held by Sgt. Chris Kyle. This sniper has remained unnamed, as the British military fears that he would become a Taliban target if his identity were revealed. He still inspires fierce loyalty among comrades and new recruits, especially since he is known to have taken down 90 enemy combatants in a single day of fighting. Now that you’re inspired to up your aim game, head to our homepage to read more on the best rangefinders on the market!